Our exquisite Bequai compartment boxes make stunning jewellery boxes. 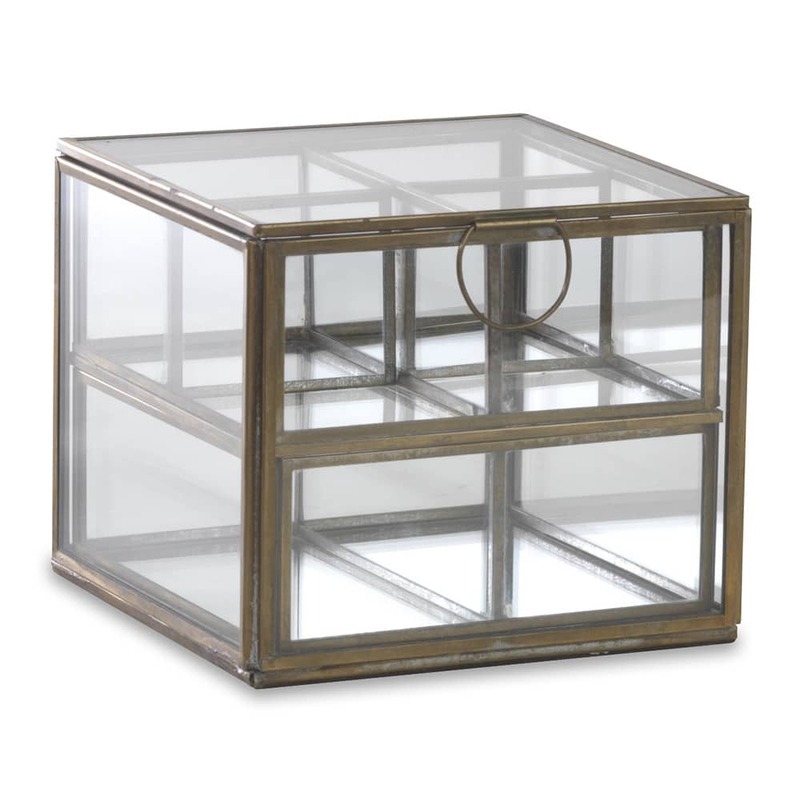 The top layer consists of two compartments that remove to reveal a further four compartments below. Perfect for holding earrings, necklaces and rings. The brass is hand forged and adds timeless elegance to this practical piece.